So you guys know I love to indulge in some vegan treats every now and again. Here are my top five luxurious vegan treats that taste insane and don’t cost the earth. All of these companies are very ethical and they use only the best ingredients, so you can treat yourself to something delicious and feel great about it at the same time. I absolutely adore the company Booja Booja. Their products are all so luxurious – you could never tell they contained natural and dairy free ingredients. Here’s what they say about themselves, ‘We are pioneers of organic, dairy free, gluten & soya free chocolate truffles and frozen desserts. We create wholesome pleasure: delicious things for the maximum wellbeing of everyone.’ Prepare to fall in love if you try these. Mve over soy yoghurts, with your chalky texture and gross taste that lingers at the back of your tongue… There’s a new kid on the dairy free yoghurt isle and it’s so delicious. I have never been a fan of soy yoghurt for one reason – it’s so gross. I had almost given up hope on ever having yoghurt on my fruit until I discovered this amazing product. 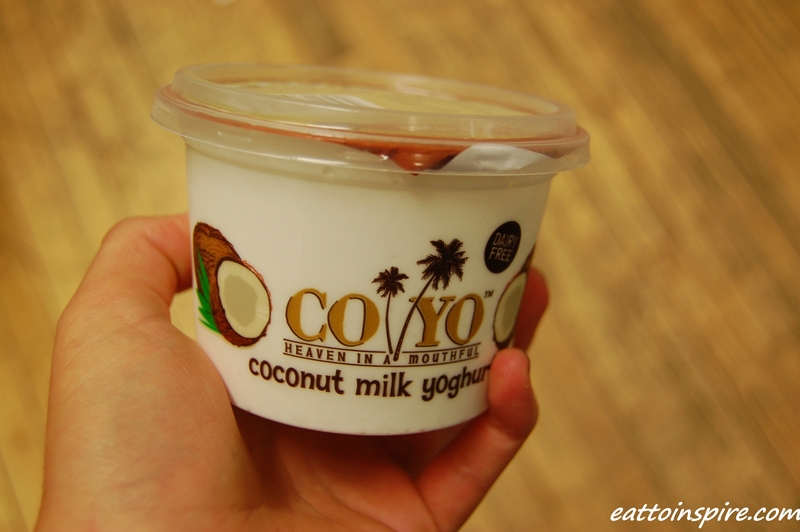 CoYo coconut yoghurt is so rich, creamy and dreamy. You should definitely give this a go. It is not the cheapest product but it is certainly worth every penny. As it is so rich a little yoghurt leads to a lot of satisfaction. The plain flavour is my absolute favourite, the chocolate is good too. 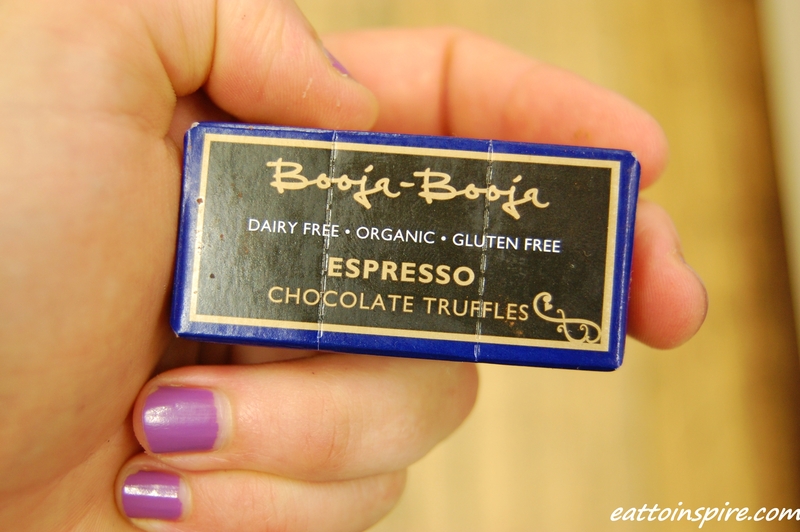 Here is another amazing product from Booja Booja. 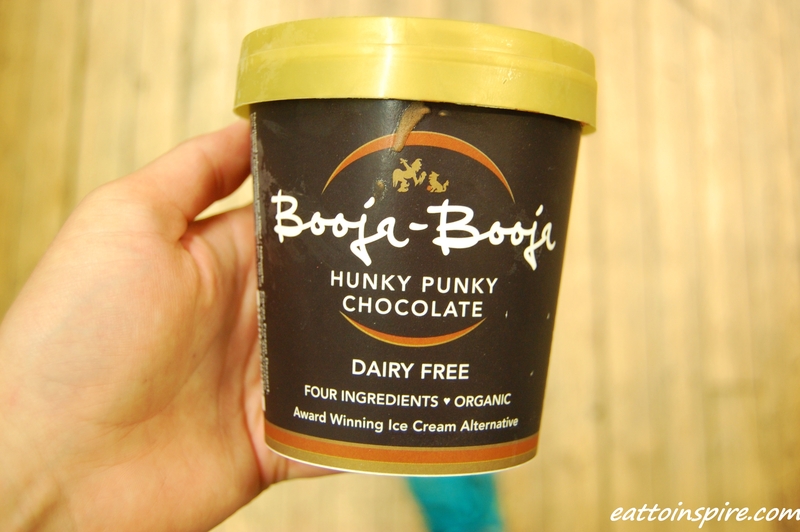 Their dairy free ice cream in Hunky Punky Chocolate. The first time I tried this it was as if I had died and gone to heaven. Guess what? This tub of deliciousness contains only four ingredients. Do you want me to tell you what they are? Water, Agave Syrup, Cashew Nuts, Cocoa Powder. There has most certainly been some witchcraft involved in the making of this product, it tastes insane. You have to try it to believe me I guess? Ok, so there is a bit of a chocolatey theme going on here… I guess I’m a chocolate gal, huh? 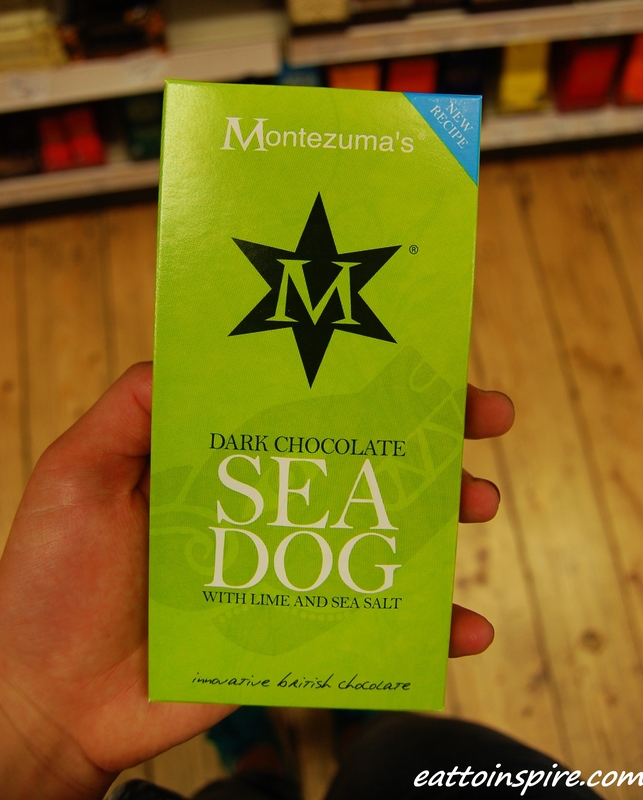 Montezuma is a lovely company that uses the best ingredients and hand makes all of their chocolates in the UK. My favourite has to be Sea Dog, however I believe it is an acquired taste. For me it is ridiculously good, too good. Very blogworthy. However upon eagerly sharing this treasure with my favourite people I have sometimes been deflated to hear, ‘eurggh’ and see a screwed up face. I guess this one is like marmite kids, you either love it or you hate it. No middle ground, no fence sitters. I love it. I think the combination of sea salt and zesty lime is absolute perfection. The flavours dance across my tongue and tickle my tastebuds. So there you go guys, apparently I like chocolate. All of the products I have mentioned are available to purchase at the lovely Better Food Company in Bristol, as well as all good deli’s and organic stores 🙂 (This post is not sponsored by Better Food, it is my favourite organic shop in Bristol). What are your favourite vegan treats? Have you tried any of the goodies that I have mentioned? If so what did you think? I love that Montezuma’s Sea Dog bar! So great! I’m also a hue booja booja fan too. Considering the fact that I work on the Triangle and go through Whiteladies Road every single day, how have I not spent enough time at BFC to find these products?! I’ve had Clive’s Pies and the Booja Booja ice cream before, which I ordered online – both were pretty dreamy. 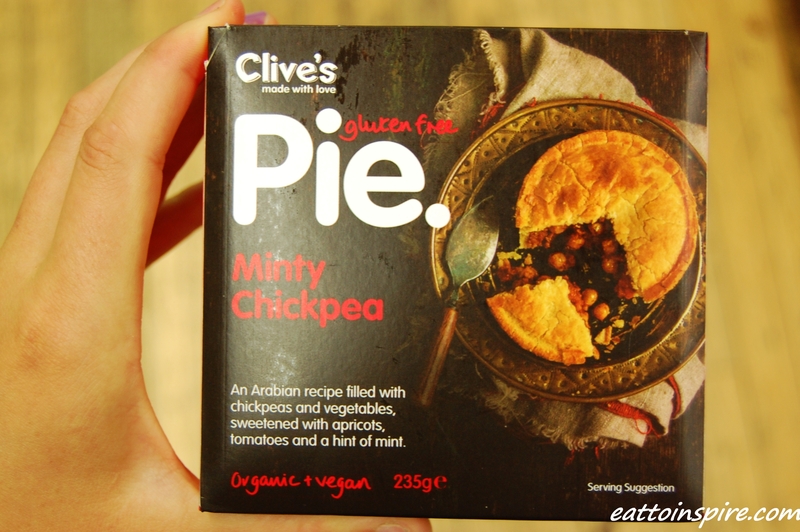 Clive’s Pies have the most delicious pie crust as well!